There's a mouthful for you! Interestingly, my kids came home from school this week with spellings to learn, words that they'll likely never need to use in their life again like Palaeolithic and Mummification and meanwhile, I was struggling to spell Cryolipolysis, thinking that it's probably a word that would be more useful to them in the future. 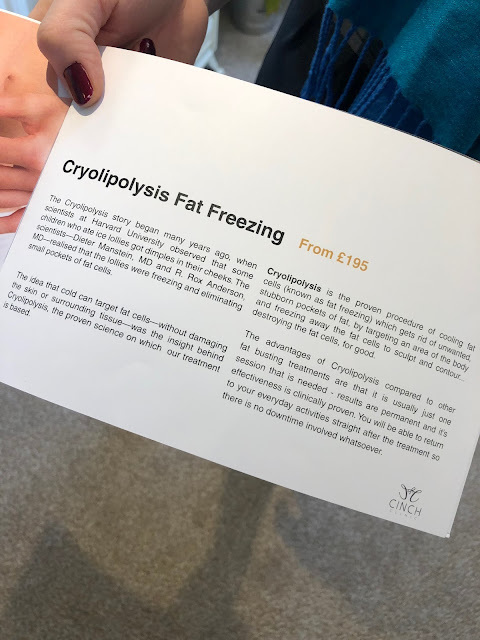 I digress....what on earth is Cryolipolysis and why am I telling you about it? I'll start by saying, along with many of you, I'm a deep sceptic when it comes to complicated sounding aesthetic cosmetic procedures. I love the idea of a supermodel figure as much as the next woman but I'm not convinced it can be achieved in a salon. However, my scepticism has been tested with this particular treatment. 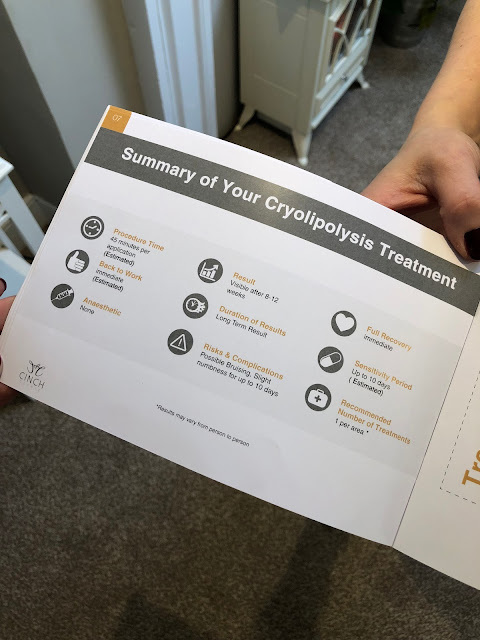 Cryolipolysis is an effective TGA and FDA approved non-surgical liposuction procedure, which has been gaining huge popularity among celebrities across the globe. During the procedure, fat cells are cooled (known as fat freezing) to rid a targeted area of unwanted fat for good. It can treat various stubborn areas on your body such as stomach, love handles, back-fat, arms, flanks, inner & outer thighs, bra line and moobs - it's not just for women. I first heard of the treatment when Angela Hunter who co-owns Cinch Clinic in Holywood with her friend, Nicola McIlhagger, asked me to try it out last October. I have known Angela for a number of years and it was only for that reason that I decided to be one of her first clients. The last thing I wanted was to feel obliged to tell you about a treatment because it was gifted to me but Angela was fine with me only blogging about it if I was happy to recommend it....and I got results. So my treatment was booked for the first week in October and I was looked after by Kim - one of those wonderful calm and reassuring women that you just love to come across in a salon like this. She immediately set me at ease and most importantly, was able to answer all of my questions and address any worries. I undressed to my underwear, lay on a very comfortable bed and let Kim take over. After being measured so that the results can be tracked and the target area marked, I had an antifreeze membrane placed on my treatment area - the lower tummy. The hand piece of the Cryolipolysis machine was then placed on top of this membrane and the suction began, creating a seal on the area. my tummy is sucked up inside that cup! The cooling plates inside the unit take the treatment area down to -5°C . 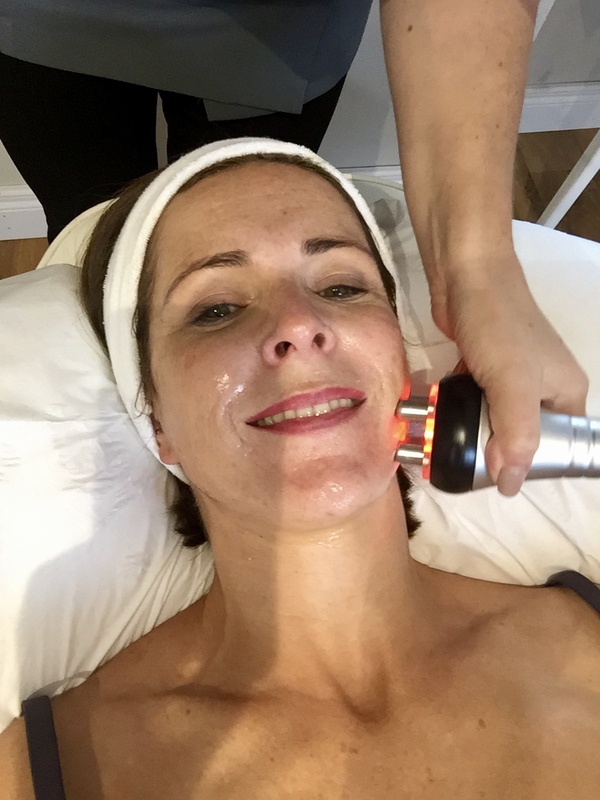 After this, the suction pressure is reduced slightly for the remainder of the treatment and with a warm blanket over me, I was free to lie back and enjoy a Kylie - Ten Years Younger - Radio Frequency Facial with Kim. This is a wonderful and relaxing treatment that tightens the skin and pores via electromagnetic high frequency waves. These waves penetrate all layers of the dermis and stimulate collagen cells. It was utter bliss. But back to the tummy....where by now my fat cells were crystallising and getting ready to breakdown. This is called apoptosis. I should say here that blood vessels, nerves, etc in the area are much less sensitive to cool exposure and won't be affected by the treatment - this results in the elimination of the fat cells without damage to the surrounding tissues. So I was sent on my way after about an hour, with instructions to drink lots of water and if possible to body brush and massage. For optimum results, it is recommended that Cryolipolysis is used alongside a healthy approach to eating and decreased alchohol consumption. I did my best there but remember, Christmas fell smack in the middle of my 12 weeks...eek. On top of Christmas, I also missed my 6 week assessment. Included in the price, the 6 week review includes a further treatment of what's called Cavitation - a non-invasive liposuction treatment that reduces body fat safely and efficiently via the use of targeted ultrasonic waves. This all helps with the final result. For lots of reasons on my part, I didn't get back for this treatment until 10 weeks so at my 12 week measurement appointment, I really wasn't convinced that the results were going to be that impressive. Well, I was completely wrong and completely floored by the measurements. In the space of 12 weeks, I lost 5 inches off the narrowest part of my waist and 6 inches off my lower stomach. I was there when these measurements were taken both times and I wouldn't embellish this - what would be in it for me? I genuinely was taken aback, mainly because I didn't think that the results would be as impressive in someone already slim - albeit with a stubborn lower tummy that I've always struggled to eliminate with diet & exercise. I need to address the obvious question about what I was doing in the meantime that might have enhanced this result. Honestly, nothing above and beyond what's normal for me. Year round, I exercise about 3 times a week and I eat ok about 5 days out of 7. I didn't do anything different in the 12 weeks....if anything, I exercised less because of the holidays and the kids being off. So imagine if I had made a bit more of an effort?! What's great about this whole experience is that as well as the treatment actually working, I can wholeheartedly recommend the people and place it took place in. Because it's not enough for a treatment to be effective - I would never send you to a place that I wouldn't be happy to attend myself and pay for a treatment. I will be back a few more times ahead of the holidays to get more Cavitation and this time, I will be paying. No better endorsement, I hope you'll agree. 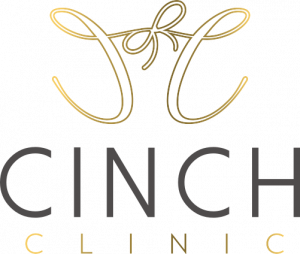 To find out more you can check out the Cinch Clinic website or give their Facebook page a like. I've also copied their address, phone number and email address and attached to the base of this blog post, along with pictures of the catalogue that gives you even more information on the treatment. 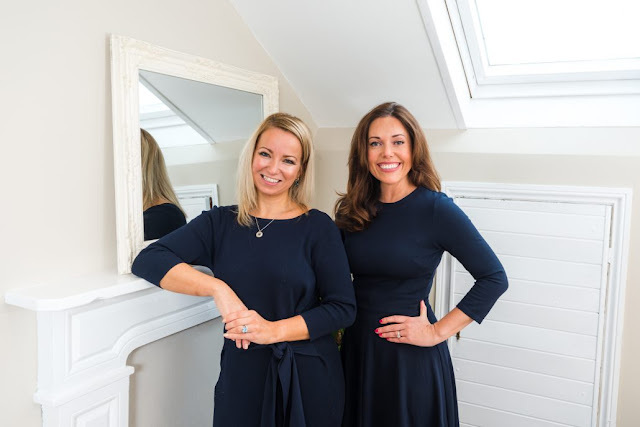 Feel free to also ask me any questions - simply comment below or send me an email to avril@alifetostyle.com. Prices start from £195 for the Cryolipolysis but there's 25% off until the end of this week. The Kylie - Ten Years Younger - Radio Frequency Facial is £60. Thanks to Angela and Kim at the Cinch Clinic for making me much less of a sceptic about these things - I was happy before but I'm ecstatic now to embrace 44 year old me in a bikini this Easter! Disclaimer - my treatments were provided free of charge but I was not paid or obliged to blog about it. Thanks for supporting the brands who support this blog and provide me with interesting and diverse content that I'd not otherwise be able to share.